In 1992, Hurricane Andrew left Florida devastated. As communities began to rebuild their homes and businesses, they faced numerous challenges and delays when filing insurance claims to receive disaster relief funds. The lack of a uniform, statewide building code and the insufficient enforcement of building standards prior to the Hurricane made the reconstruction process seem insurmountable. Varying codes had a broader, long-term effect on how and where development would expand in Florida. In 1998, following the recommendations of a study conducted by the Building Code Study Commission, the Florida Governor’s Office sought the institution of statewide standards for building safety and practices. The newly created Florida Building Commission (FBC), however, was challenged by conflicting interests and was unable to create a cohesive vision to implement change. 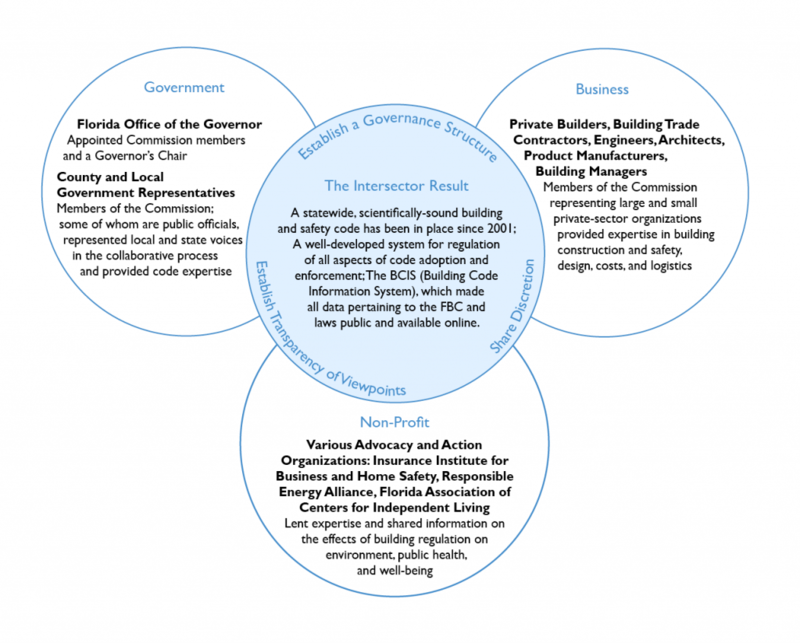 After a year of struggling to build consensus, the Commission enlisted the help of experienced facilitator Jeff Blair of the FCRC Consensus Center at Florida State University, who was able to bring together the non-profit, public, and private sectors to fulfill the Commission’s goal of creating a statewide building code. Jeff’s diverse professional background as a facilitator made him the perfect candidate for the FBC – before Jeff’s involvement, the highly partisan body was plagued by opposed motives and interests. As the Associate Director of the Florida Conflict Resolution Consortium (FCRC), a policy institute within Florida State University, he had experience in negotiation, which trained him to foster joint solutions between representatives from state and local government, citizen/watchdog groups, construction businesses, design professionals and product manufacturers. Jeff worked in the private sector as a homebuilder for twenty years, and still maintains his Florida Certified General Contractor License. His work as a facilitator began in tandem with his career in construction, and this dual expertise provided him with the technical knowledge to help the FBC achieve its goal. He had previously work as a successful facilitator with Florida-based non-profits, as well as in the Florida Department of Agriculture and Consumer Services (FDACS); his work with FDACS on regulatory rule making initiatives garnered the attention of the FCRC Consensus Center where he was hired initially to work on the FBC project working closely with Chairman Raul L. Rodriguez, AIA and DCA staff. Jeff’s professional experience in facilitation and mediation spans each sector: he worked as a facilitator in community and regional co-ops, as well as in NPOs in his native Florida since the 1970s. Previous work with state and local government to design and implement collaborative approaches to planning and rule making, with an emphasis on the public’s involvement, likewise contributed to his legitimacy working across sectors. His reputation and expertise as a facilitator were known to FBC Executive Director Richard Dixon, who brought him in to work on the project. Before signing on to the Commission, Jeff embarked on a three-month observation of the FBC, which allowed him to understand the competing interests hindering the organization. His background as a facilitator allowed him to negotiate between parties, and to navigate the interests of the different stakeholders involved. Jeff understood how building code enforcement would impact the profitability and smooth operation of a construction business, and sought to balance an understanding of profit and consumer protection with the government’s interest in protecting homeowners and streamlining insurance claims. He also understood that there were several non-profit stakeholders, including those who wanted a say in energy codes, accessibility, and consumer protection; he therefore facilitated working groups convened by Chairman Rodriguez to involve all stakeholders. His experience working for the FCRC and his skill as a facilitator allowed Jeff to strategically organize the decision-making process. The creation of a resolution process was based on years of analysis of the ‘science of conflict’ and organizational behavior, as well as his own passionate “line work” as a facilitator and consensus-builder. Jeff was well aware of issues regarding trust and the sharing of information in the FBC’s contentious environment; following his observation period, he and the Commission Chair and Executive Director, the Commission and DCA staff embarked on a series of public forums presenting the need for a state code. Jeff’s incorporation of public input shored up support within the community, and galvanized FBC members to agree on a common goal. Remarkably, the FBC achieved 100 percent consensus on nearly every vote, despite consisting of members from different sectors with widely different interests. The fact that decisions require a 75 percent or higher threshold to achieve consensus in order to pass, rather than a simple majority, “discourages the formation of small, temporary alliances of convenience to push a measure through and instead foster lasting relationships.” It is also a means by which inclusivity is reinforced; when consensus is weak, Jeff encourages members to revisit contentious issues, address outstanding concerns, and seek solutions that stakeholders can agree to support. The Chair, members, and stakeholders of the FBC are all committed to the process of consensus-building. 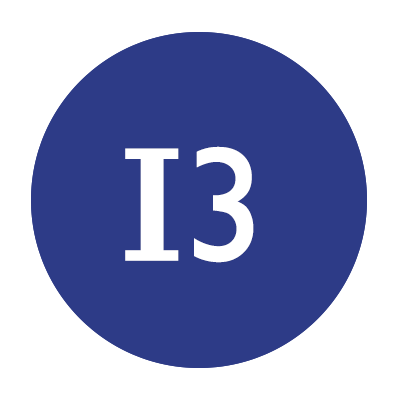 Workgroups on single issues, such as building safety or energy codes, formulate suggested code enhancements and/or changes through facilitator-led discussions. These workgroups encourage members to seek an understanding of differing viewpoints rather than simply offer criticism of an opponent’s proposals. The workgroups are essential to overcoming challenges; if any party feels their interests are not spoken for, they can return to the workgroup and restate their case. To date, there have been 52 workgroups; in addition, the Commission has 11 Technical Advisory Groups (TACs) comprising 11 members and 2 Program Oversight Committees (POCs), providing the Commission with consensus recommendations on code and program relevant issues. All committees and workgroups are organized to provide a balance of stakeholder expertise and perspectives. The FBC works with experts to develop a code based on the latest developments in science and engineering. Each issue-specific workgroup and code specific TAC is made up of informed participants in the subject area. FBC’s stakeholders agree in advance to abide by the findings of objective studies. This form of collaboration is successful because, in the event of disagreement during the development of the building code, TAC and workgroup members can rely on technical information to guide their consensus-building. The objectivity of engineering standards allows the FBC to bypass subjective considerations. The BCIS (Building Code Information System) has made all public data pertaining to Florida building code and law available online. This modernized, standardized system is available to building professionals, local government, and the general public alike. The accessibility of this information has helped redress the balance of power and knowledge which previously favored big developers. FBC workgroups are engaged in an ongoing energy conservation study to develop collaborative solutions for energy efficiency and environmental safety that will ultimately enter the state building code. The collaborative approach developed at FBC has been used to bring collaborative resolution to development of a state product approval system and agreement on the creation of the High Velocity Hurricane Zone (HVHZ) in 2000, and to windborne debris region disputes in 2010. A similar approach to consensus-building has been applied to major environmental impact challenges such as the Natural Resource Damage Assessment Trustee Council charged with restoring the environment of the Gulf of Mexico and the five impacted states in the wake of the Deepwater Horizon oil spill disaster.